The Gold Coast will welcome in 2018 with many fun and free events across the city. 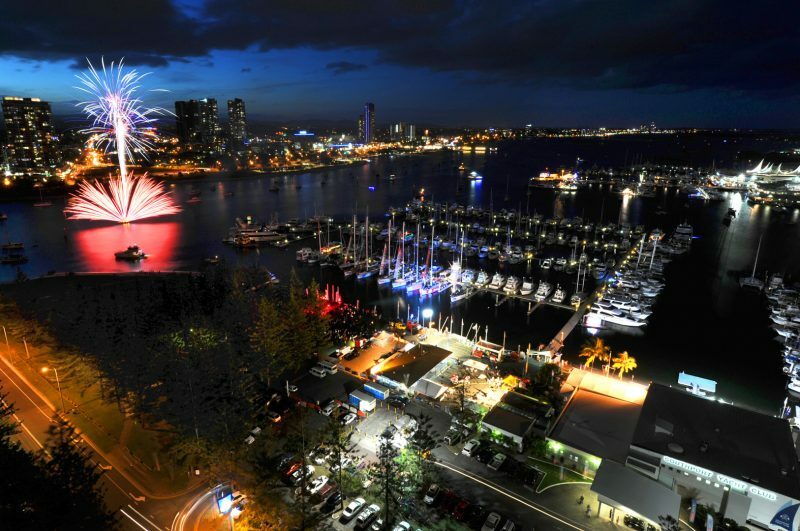 The Gold Coast experiences boisterous festivities every New Year’s Eve and this year aims to be no different. Check out the list below to find a spot where you can see the New Year in while enjoying great entertainment and fireworks at a place near you. Food Truck Feast 5pm to 9pm; Fireworks at 9pm. Pop up style food event with music and fireworks. Come down to Broadbeach and enjoy the fireworks on New Year’s Eve, with a fireworks display at 8pm and another at midnight. A free community, family event with live stage entertainment, kids entertainment, amusement rides, food and drink outlets, and of course, fireworks. Currumbin RSL will be welcoming in the New Year with a spectacular fireworks display over Currumbin Creek at midnight. Check the Club’s web page for other activities planned for the night. Family-friendly New Year’s Eve fireworks celebration with barbecu, drinks, glow sticks, jumping castle and much more. Fireworks from 7.30pm. No entry fee. All fundraising proceeds going to the North Kirra SLSC. Fireworks blasting from three pontoons on the Broadwater and synchronised to music. This will be an unforgettable family celebration of live music on the main stage, roving entertainment and face painting. All free. Fireworks at 8pm and midnight on the beach, 10pm at Tiki Village, to celebrate the New Year.